The Alumni League kicks off on Oct 7, and looks set to restore Philadelphia's Basketball Rivalry. PHILADELPHIA - Sept. 29, 2017 - PRLog -- The Alumni League is about to bring back to Philly, the competitive spirit the city is so well known for. The basketball league is comprised of teams of alumni from Philadelphia area high schools, harking back to the 80s and 90s, and rivalry will be fierce. 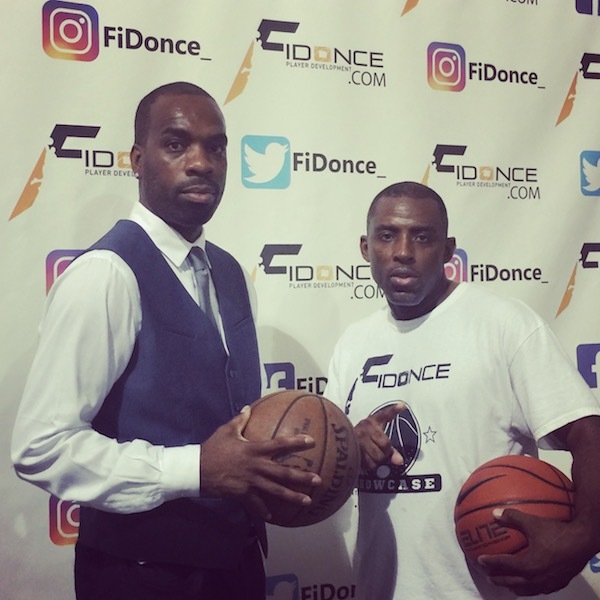 Games will initially be held at Nexxt Level Gym in Vorhees for the month of October, then will switch to FiDonce Gymnasium in Philadelphia, run by Eric Evans, who is a new official partner of the league. Player statistics will be tracked, with accumulated statistics tallied and published weekly. Partner of the league Sam Pellom Jr of DASA will be providing all statistical input and analysis. Sponsors have come on board quickly including Moonie Spot of Ralph Brooks Community Basketball League, Carl Wilkerson of Carl Wilkerson Basketball Association (CWBA), well-known venue Manayunk Brewing Company, Dawud Morris of MMBL, and Brian Graves (Philly's Top Police Officer) of Philly Ballers. More sponsors to be announced shortly. The opening day roster lineup on October 7th is as follows: 1pm Furness vs. Martin Luther King; 2pm Lamberton vs. West Catholic; 3pm Camden vs. Frankford; 4pm Overbrook vs. Strawberry Mansion. Additional teams not listed above will be playing in upcoming weeks and include Bartram and Neuman. Two more teams are expected to be named in the coming weeks, to begin November. Founder, President and Commissioner, Fahreed Cheatham noted, "The Alumni League was created with a vision to continue the rich tradition of basketball competition for players 30+ in the Philadelphia region. There is an untapped desire amongst many players, to continue to play at a high competitive level, without being pro, well into their 30s and even 40s. The Alumni League seeks to fill that void initially in Philadelphia, and next year expand to other East Coast cities." Cheatham is a Strawberry Mansion alumni himself, as well as being a former college basketball player with Cheyney University, and a former player with Philadelphia Destroyers. He won MVP of American Professional Basketball League (APBL) in 2013 and 2014. Alumni League's facilities partner Eric Evans, owner of FiDonce Gymnasium, and Cheatham's mentor and teammate at Cheyney University, added "It's very, very good for the community, giving the guys a chance to get back together, tap into some of the camaraderie, giving those who always felt the spirit of competition the opportunity to win bragging rights for who is the best in the city." FiDonce Gymnasium will be the venue for all Alumni League games in Philadelphia beginning November. Evans has been long involved in player development, which began after he finished his own career and took on the task of training and developing his younger brother Tyreke Evans, current NBA player with the Memphis Grizzlies. The buzz is so strong about the Alumni League, that although the announcement was only made on September 23rd, teams, sponsors and partners have already committed to coming on board in just 4 days, and the list continues to grow. Looking forward to watching the growth and success of the Alumni League. The Alumni League is headed up by Fahreed Cheatham, and was created with a vision to continue the rich tradition of basketball competition for players 30+. There is an untapped desire amongst many players, to continue to play at a high competitive level, without being pro, well into their 30s and even 40s. The Alumni League seeks to fill that void initially in Philadelphia, and next year expand to other East Coast cities.